a) Build the label rendering and printing logic inside your application. b) Call some other software to do the label rendering and printing for you. LabelCloud is the software that does everything for you from rendering to producing the label printer specific control code and pushing that code to the printer. LabelCloud is available both as a cloud service or as a on-premises version where you require tighter data privacy controls or want to control availability yourself. Other control language implementations considered on a case-by-case basis if you’re ordering a license. Architecture: how does it work? 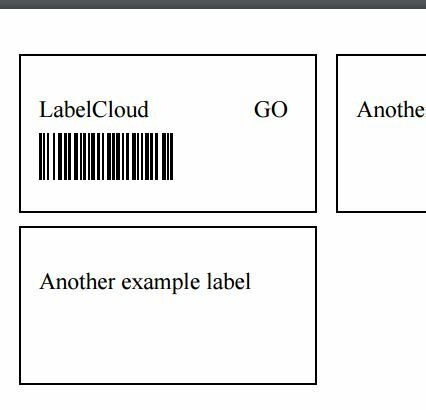 LabelCloud is a webservice into which you can make a HTTP+JSON call with the text/barcode contents of the data you want to print as a label. The solution requires you to install NX Print (provider for low-level access to the printer from web applications) software for the workstation, which listens on a HTTP port (not allowed to be contacted from outside of the computer), to provide access to Windows’ printers.